Other debates which may have fallen by the wayside also deserve our attention. One forward-looking challenge is to ask what the role is for financial statements, and whether now is the time right to critically appraise local authority financial reports. Reporting on the results of local authority performance has always been a core area of strength for public finance professionals, adhering to accepted international financial reporting standards. It is widely recognised that the long-term sustainability of local authorities and the effective use of public funds can only be achieved with world class financial management systems which can handle the many potential risks arising in the UK’s challenging and changing fiscal landscape. One characteristic of reporting under international standards has been the substantial increase in the amount of information reported. While the detail and depth of information is in many respects impressive, nearly a decade after implementation finance professionals need to ask themselves about where there is room for improvement. In the age of social media, where information is expected to be immediately accessible, there is no room for complacency. That is also why the Chartered Institute of Public Finance & Accountancy’s local authority accounting panel, along with Society of London Treasurers, the Society of District Council Treasurers, and the professional services firm Grant Thornton, are critically examining how local authority financial information is reported. For the layperson, financial statements can be hard to navigate, and even impenetrable. Local authority statements are no different, except that such accounts have a wider user group, including politicians, citizens and lenders. As leaders of public finance, we are keenly aware of the need to balance between compliance with high professional standards, and clear, intelligible, and – where necessary – streamlined information focusing on the items that a wide user group will require. We believe there are opportunities within the current framework to reposition what we do, while continuing to adhere to the required international standards. Our early work tells us that ‘streamlining’ is important for many reasons. Not only does it save resources and allow our financial experts in local government to devote more time and energy to value adding activity, but it can help better inform public debate on local government’s finances. Recently we released a pre-publication version of Streamlining the Accounts: Guidance for Local Authorities, which focuses on supporting local authorities to prepare clearer, shorter financial statements to a high standard. 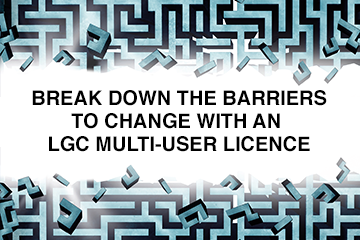 The guidance outlines a process which will lead to code-compliant accounts but take less time and resources. This was a collaborative piece to help local authorities learn about additional support steps to streamline both the format of their published financial statements and the year-end processes that underpin them. With the current reporting period for local government coming to a close, for finance practitioners it is worth reviewing the practical approach contained in this document, which includes general guidance, case studies and worked examples – the latter designed to show how presentation might be tailored to reflect local context. Of course, they should not be treated as either accounting templates or as definitive interpretations of code requirements. Still, local government accountants will find them a welcome addition to Cipfa’s suite of closedown support. The importance of these issues should not be underestimated. When we improve local government financial reporting, we help to rebuild the trust essential to the success of our public services. While current reporting practices are good, we believe more work can be done to better translate the financial stories of individual local authorities. If local government can strike the right balance in fiscal reporting, this would be of significant help to the finance teams currently busy preparing their annual reports and will help support local democracy itself through greater transparency. This is an important first step on a vital journey.